alaTest ha recogido y analizado 124 comentarios relacionados al producto Sony MDR-Z7. 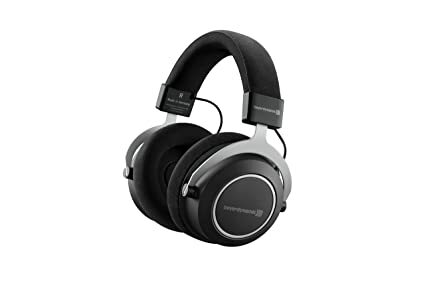 En promedio, la calificación para este producto es 4.4/5, al ser comparado con la calificación 4.0/5 de otros productos en la categoria Auriculares. Las revisiones acerca del sonido y la relación calidad-precio son por lo general positivas. La calidad del montaje y la funcionalidad también consigue buenos comentarios. Analizamos las valoraciones de los usuarios y los expertos, la edad del producto y demás factores. Comparado con otros Auriculares el Sony MDR-Z7 recibe una alaScore™ global de 90/100 = calidad excelente. The Sony MDR-Z7 are big, super-comfortable headphones: what you should be looking for if you want something for late-night movie-watching and game-playing. They'll let you listen away in style without keeping anyone else in the house awake. Incredibly comfortable headphones that are the perfect late-night accompaniment to a home cinema system. Expensive; no protective carrying case or pouch. While expensive, the well-built and supercomfortable Sony MDR-Z7 can go toe to toe with competing high-end audiophile headphones. the Sony PHA-3 battery powered DAC/headphone amp and the Kimber Kable MUC-B20BL1 balanced headphone cable. Finally, Sony's made a headphone that can go toe to toe with the top audiophile models. I handle a lot of headphones around here. Everything from in-ear to over-ear, from $40 to $700 and the Sony MDR-Z7 are simply the best over-ears I've used. Sony has just introduced their line-up of new headphones for the final quarter of the year, and we took a closer look at three of the more interesting headphones announced. Sony's new MDR-Z7 headphones are designed to work with high resolution music but are they high fidelity? Headphone reviews, earphone reviews, IEM reviews, amplifier reviews and portable audio features and latest news. We've got the lot at Headfonics!